PowerPress offers a wide variety of options on how to set up a podcast. Two Blubrry team members, Mike Dell and Shawn Thorpe explain the pros and cons of using either option. 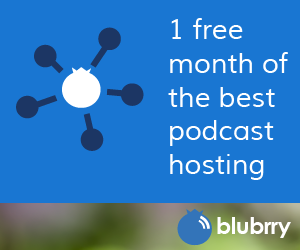 Podcasters that have a network of shows on their website should be using the professional hosting option with Blubrry. It allows for easy management of multiple shows, all in one account. Before they discuss the differences in PowerPress, Mike and MacKenzie recap Podfest, from earlier this month in Orlando. It was a first time event for both of them, and they’re looking forward to seeing how the event evolves. Thanks for listening to the show and please subscribe. If you’d like to be a guest on a future episode, reach out to MacKenzie and let her know why you think you’d like a great fit. Podfest: Tickets are on sale for 2019. Don’t miss out. Category Podcasting: Add a podcast to your new or existing WordPress categories. Mainly used for creating multiple podcast feeds from a single WordPress site. Custom Podcast Channels: Add another podcast to your website. Very similar to category, but was designed to post multiple media formats. Professional hosting: Learn more here or contact MacKenzie. Email MacKenzie@Blubrry.com – Questions about Blubrry, the affiliate program, guest on the show, etc.